For those who aren't a fan of anime or studio ghibli, I understand, anime isn't for everyone. That said, I think you're making a terrible mistake. The outfit you see in these photos was hand made and modeled by my sister Hannah for this years Ganbatte Anime Convention. 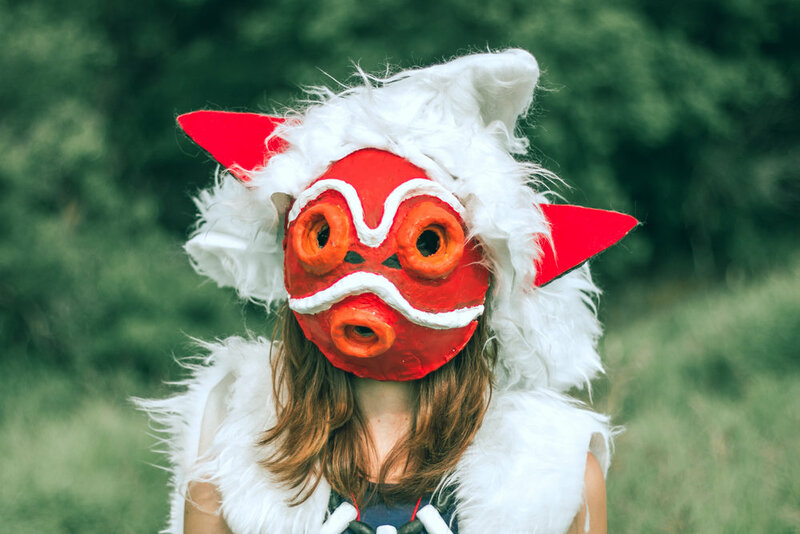 She cosplayed as one of the main characters from Princess Mononoke a Studio Ghibli film released in 1997. Not only was this one of the first animated Japanese films I ever saw growing up, it was one of the first in a long line of masterpieces by filmmaker Hia Miyazaki.